We have received word that the Holy Synod of Antioch today elected His Eminence, Archbishop JOSEPH (Al-Zehlaoui) of Los Angeles as Metropolitan of New York and All North America. You can read Metropolitan JOSEPH’s biography here. As of the morning of July 3, the synod is still meeting at the Balamand Monastery in Tripoli, Lebanon, and there may well be additional announcements released today. 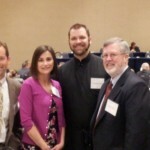 On June 5, 2014, delegates from St. Paul’s in Emmaus participated in the Special Nominating Convention of the Antiochian Archdiocese to nominate names to submit to the Holy Synod of Antioch for their consideration in choosing the next Metropolitan Archbishop of the Archdiocese. 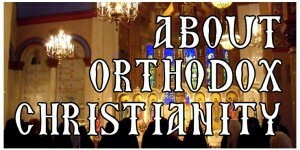 On June 5th, 2014, the Special Convention of the Antiochian Orthodox Christian Archdiocese of North America was duly convened in Chicago, Illinois, and voted to nominate three candidates who will be eligible for election as the metropolitan of this Archdiocese. The list of eligible candidates was the one approved pursuant to the Archdiocese Constitution, Section 5, paragraph [D. (1)] by the “Local Synod in agreement with the Board of Trustees” as a result of the meetings of the Local Synod and Board of Trustees that occurred from May 13-14 in Chicago, Illinois. 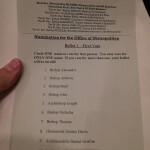 The delegates attending this convention, pursuant to the Archdiocese Constitution Section 5, paragraph [D. (2)], “did select, by secret ballot, three candidates from the list of eligible candidates”. The specific procedures that were followed were according to the Procedures for Voting, Counting of Votes and the Announcement of the Results of Voting, as approved by the Board of Trustees at its meeting of May 14th, 2014 and which is completely consistent with the Archdiocese Constitution. According to the tally sheets remitted to us by the Counting Committee, we certify that the counting of the ballots proceeded without any issue or anomaly. Immediately following the counting of the ballots, and pursuant to the Archdiocese Constitution, Section 5, paragraph [D. (3)], “the Local Synod did convene a special meeting in order to certify the results of the nomination”. Pursuant to the Archdiocese Constitution, Section 5, paragraph [D. (3)], “the Local Synod will submit the names of these candidates to the Holy Synod, who will elect one of the nominees to be the Metropolitan Archbishop of the Archdiocese”. Therefore, the Patriarchal Vicar will inform His Beatitude, Patriarch JOHN X about the result of this Special Convention, pursuant to Article 67, Paragraph 1 of the By-Laws of the Patriarchate of Antioch. This result is assured by our signatures affixed below on this 5th day of June in the year 2014 at Chicago, Illinois. 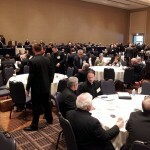 More on the convention and the candidates can be read at the Archdiocese website. It is expected that the Holy Synod of Antioch will elect the new Metropolitan Archbishop at its meeting on July 1-2, 2014. Memory eternal to Metropolitan PHILIP! 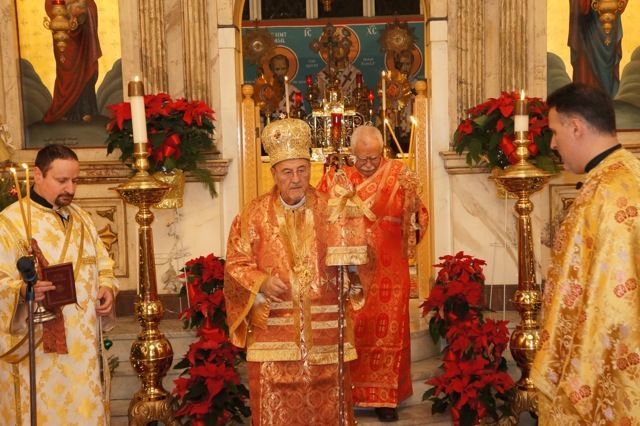 The Antiochian Orthodox Christian Archdiocese of North America, with great sadness, announces the passing unto life eternal of His Eminence the Most Reverend Metropolitan Philip, Archbishop of New York and Metropolitan of All North America. May his memory be eternal! Update: Information about the arrangements being made for Metropolitan Philip’s funeral and other notes can be found at the Archdiocese website.